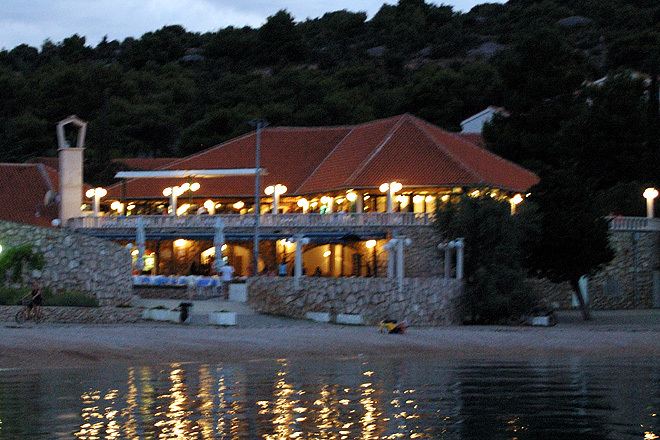 Camp Jezera-Lovišća is located on the island of Murter, in an area covered by pine and olive trees. Close to the camp lies the small fishing- and tourist village of Jezera. During tourist season, the old fishing village is buzzing with activity. 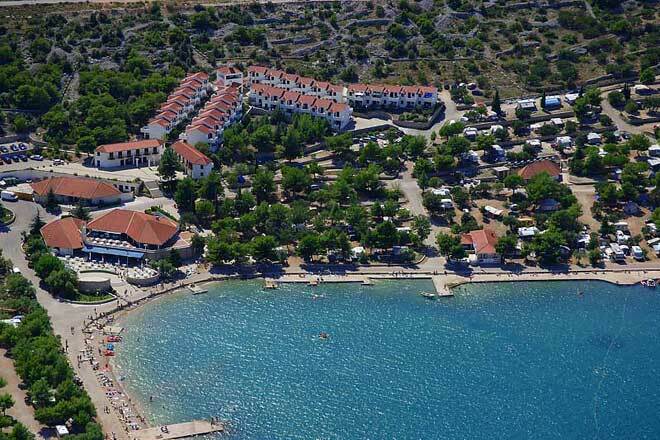 A tourist complex with apartments, bungalows and tents covers a large area close to the beautiful Adriatic Sea. 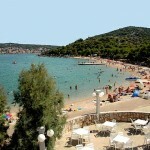 The beach stretches cca 500 m along the shallow-watered coastline, making it ideal for the family holiday. All the amenities you need are found within short range; a supermarket, restaurants, postal service, entertainment centre, and lots more. The camp is mid-sized, built to accommodate up to 1200 people on an area of 15ha. 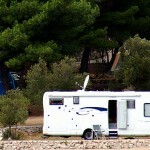 Pets are allowed within the camp, and it’s possible to connect you laptop to wireless Internet. 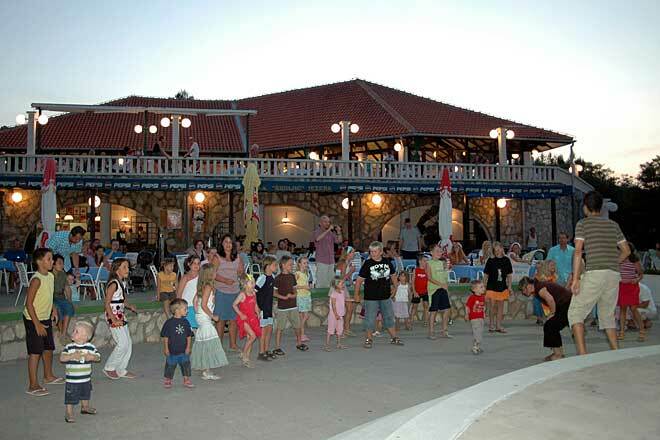 Camp Jezera-Lovišća was awarded the Croatian camping unions “Best Croatian campsite 2011“. For maximum comfort on your vacation, a great choice is to rent one of camps 82 bungalows. 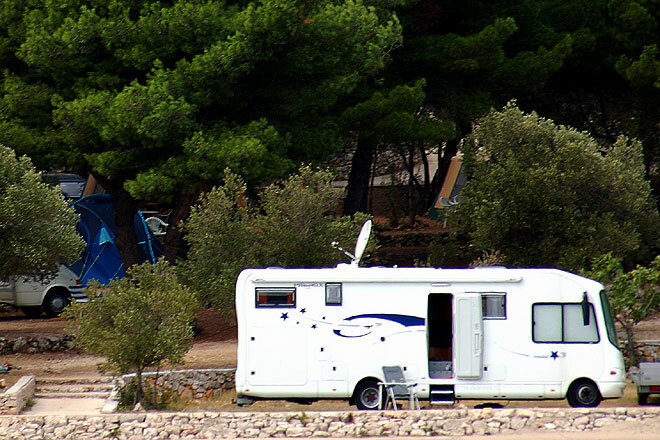 Located a short distance from the rest of the camp, you can relax in the vicinity of the Mediterranean vegetation. 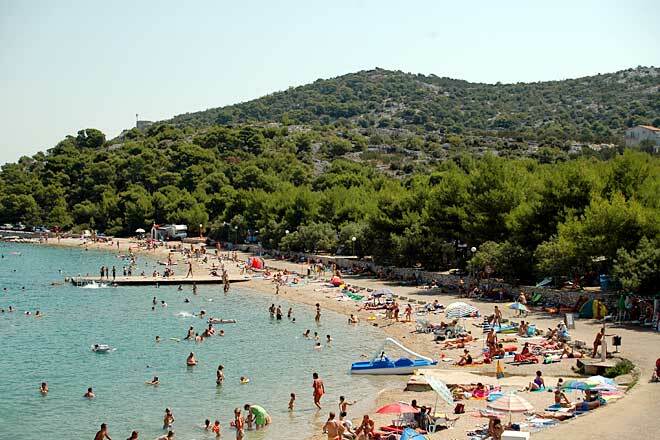 The bungalows are in Dalmatian style, comfortably accommodating between 2-6 people. There are also 10 mobile homes for hire. The plots lie partly on terraced ground and partly on flat terrain. There are around 160 organized pitches within the camp. All pitches have electricity hook-up connections, and a few of them (ca10) also has wastewater connections. It’s possible to get Internet connection. Toilets and sanitary units: Bathrooms for disabled, sanitary facilities with hot water, washing cabins, shower cabins, toilets for children, washbasins, washing machines, dryer, dog washing area, discharge for chemical WC. 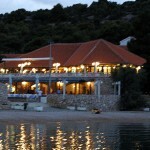 Food & drinks: Restaurant “A la Carte“ with excellent Dalmatian and international cuisine. 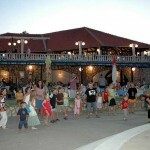 The entertainment centre terrace also offers quality grilled food, as well as dance and music entertainments. Besides that there are bars and fast food within the camp. Other facilities & services: Camper service, small boat harbour with moorings for boats, slip, postal service, lounge with TV-corner, Hair salon. The camp has a wide range of sport offers. The special program team also organizes all-day and evening programs for both adults and children. The camp has an entertainment centre with a big terrace. They arrange animation programs for both children and adults. Music, dance and folklore is also on the program. The beach with its shallow waters is very well suited for small children. Apart from that, there is a children’s playground, a mini-club (4-12years) and a teen club (13-19) that arranges various activities. National parks: Krka, Kornati, Paklenica and Plitvice.